What an awesome Zendala challenge this was! The last two Zendala creations focused on two very different template styles. The first one had an organic style and the second one was very geometric in nature. Today’s creation incorporated both organic curves and geometric shapes for one awesome combination. To start this tile, I knew I wanted to use color, so I brought out my relatively new Gelly Roll Sakura pens and started tangling away. I began with a favorite tangle call Isochor and added Tipple to the smaller open areas. I then used my absolute favorite tangle Betweed for the center area. 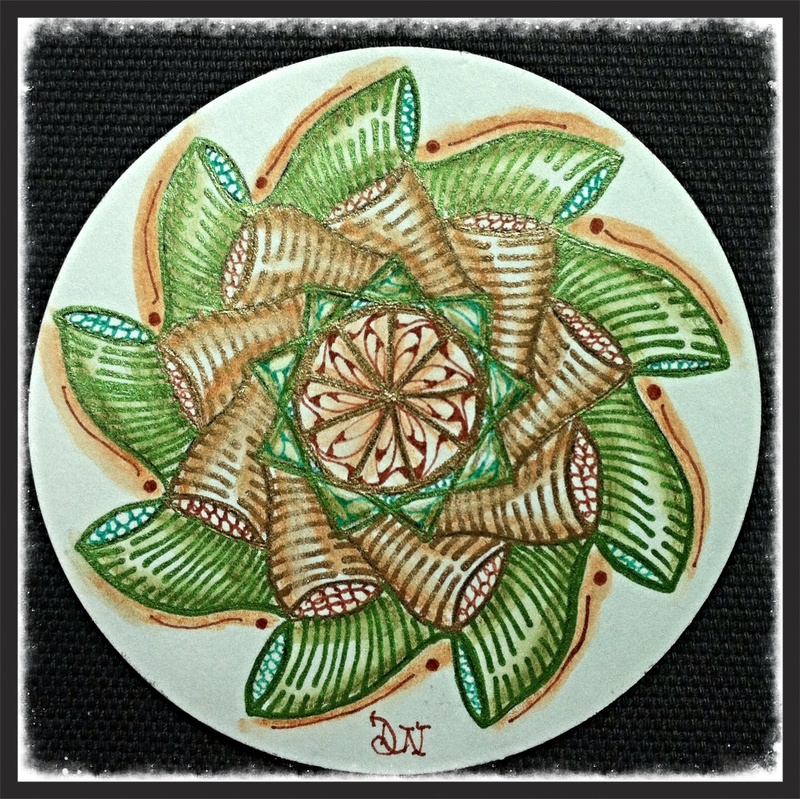 For shading I used my Derwent Inktense pencils and added water to each area to awaken the ink. The colors I choose was in hopes that spring is around the corner and that this perpetual winter will soon end. I encourage you to create your own creation in honor of spring. Together we will put an end to winter! YAH!